STATEN ISLAND HAS BRED A HANDFUL OF TALENT OVER THE YEARS WITH THE MOST LEGENDARY CREW IN HIP-HOP. THE WU-TANG CLAN. CALLING THE BOROUGH HOME. 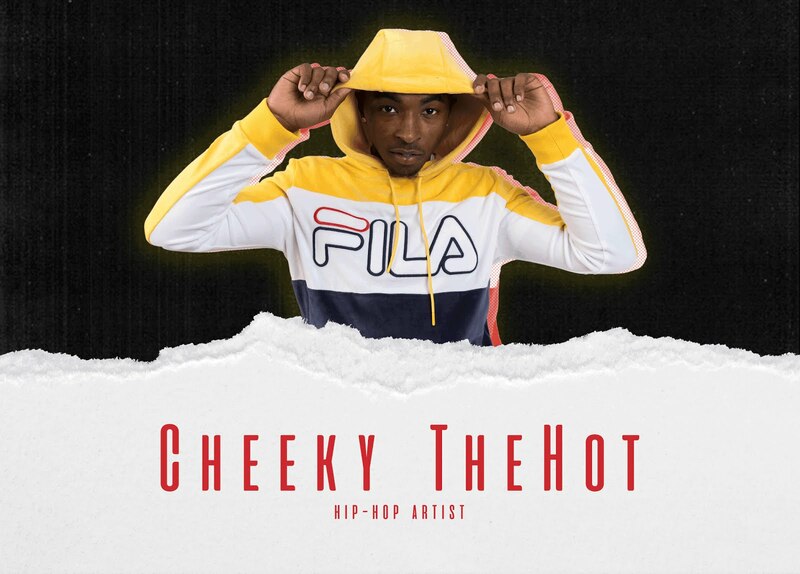 Now 26 YEARS AFTER WU-TANG FIRST BROKE THROUGH THE INDUSTRY, 22-YEAR-OLD CHEEKY THEHOT IS SET TO PUT WEST BRIGHTON PROJECTS ON HIS BACK. BORN MARKQUISE ALI ANCRUM, CHEEKY GOT HIS ALIAS BECAUSE HE EXPERIENCED HEALTH COMPLICATIONS AND MEDICINE HE WOULD TAKE WOULD CAUSE HIS FACE TO BECOME BLOATED. THOSE SAME HEALTH ISSUES CONCLUDED HIS DAYS OF PLAYING FOOTBALL. "THE HOT" WAS A NICKNAME GIVEN TO HIM FROM THE STREETS, AS CHEEKY BECAME KNOWN FOR THE FIERY ENERGY IN HIS MUSIC. INSPIRED BY MICHAEL JACKSON, DMX, AND BONE THUGS-N-HARMONY, TO NAME A FEW. CHEEKY IS A CHARISMATIC PERFORMER THAT AIMS TO BE ONE OF THE BEST ENTERTAINERS ON THE EAST COAST. HIS LIVELINESS HAS TRANSLATED VERY WELL ONTO THE SMALL SCREEN, WITH HIS BUZZING "ZOE LIFE" MUSIC VIDEO CLOSING IN ON 800K VIEWS AND BEING FEATURED ON BET JAMS. KEEPING HIS MUSIC RELATABLE AND CANDID. CHEEKY CONSIDERS HIS MUSIC A REFLECTION OF HIS EVERYDAY LIFE. WHICH IS WHY HIS BUDDING CATALOGUE IS SO DIVERSE. "I GREW TO BECOME COMFORTABLE WITH TOUCHING ON DIFFERENT TOPICS. EVERYTHING AIN'T ABOUT MONEY. THERE'S PEOPLE OUT HERE STARVING, BABIES BEING ABUSED..SO I WANT TO BE ABLE TO GIVE YOU THAT REALNESS WHILE NOT STRAYING TOO FAR FROM THE FEEL-GOOD, PARTY VIBES PEOPLE KNOW ME FOR," CHEEKY SHARES. FROM TOUCHING STAGES WITH YOUNG M.A. AND VADO, TO RECEIVING CO-SIGNS FROM INDUSTRY VETERANS LIKE SWAY CALLOWAY AND DJ SELF, 2018 IS LOOKING VERY PROMISING FOR CHEEKY THEHOT. FANS CAN EXPECT CHEEKY THEHOT'S HIGHLY ANTICIPATED DEBUT PROJECT, '1996' TO DROP WITHIN THE UPCOMING MONTHS.